Matsuura Machinery GmbH opens their doors and invites you to experience the machining centres of the Matsuura showroom in action. On May 16th 2019 from 9-17h and May 17th from 9-12h this years partners present the latest trends in high-performance machining and how they are applied to Matsuura machining centres. The Matsuura LUMEX team will also present and demonstrate the Hybrid Additive Manufacturing System LUMEX Avance-25. The open house will take place in the Matsuura showroom at Berta-Cramer-Ring 21, 65205 Wiesbaden-Delkenheim, Germany. 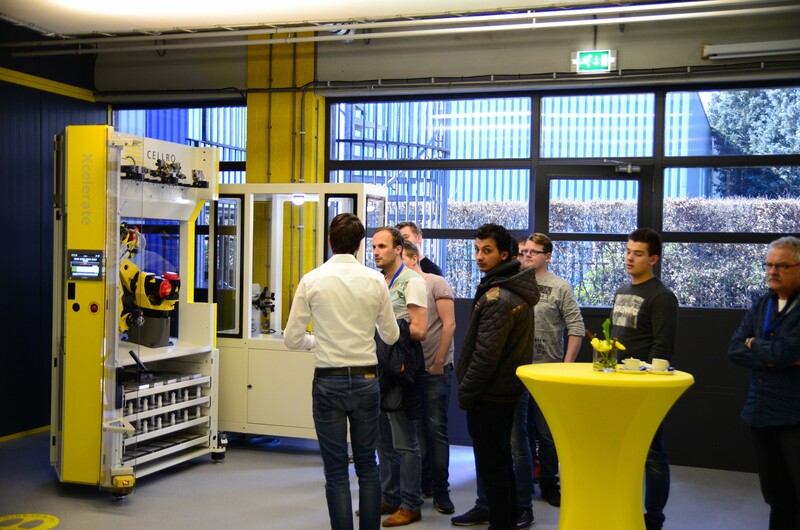 On behalf of Cellro, Michiel van Buul will be present during the Open House of Matsuura. The vertical machining center Matsuura VX-660 is linked to Cellro’s loading robot Xcelerate X20 for demonstration purposes. Xcelerate is the automation solution for your CNC machine and is available in two different basic shapes: X10 and X20. Both automation solutions are capable of loading low and unmanned series to increase production output. The robot arm of an X20 is capable of carrying up to twenty kilograms. Xcelerate X20 is ideal when the production machine needs to remain accessible. The strength of Xcelerate is that the operator still has the choice to load the production machine manually or automatically. For example, he is able to load these by hand during the day and automatically load different series at night, unmanned.